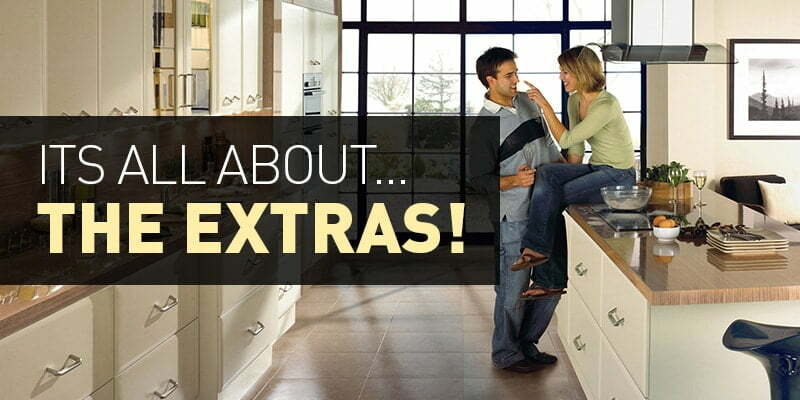 Direct Kitchens > Blog > It’s all about the extras! We work with some of the best kitchen appliance manufacturers to be able to offer our customers the best products on the market. To complement your stunning new kitchen, you need a range of appliances from top brands. We will supply and install everything from taps to ovens, microwaves to cooker hoods and a range of stunning wine coolers. With hundreds of appliances from top brands including Neff, Stove, Gorenje, Bosch, Rangemaster, Caple, Belling and Abode – we are confident that you will find the perfect appliances to suit your tastes and kitchen style. Known as an industry leader, the innovative appliance manufacturer is a firm favourite with cookaholic’s offering products like the pioneering Hide and Slide oven, compact microwaves, stunning and practical induction hobs, warming drawers, extractor fans and built in coffee machines alongside a range of elegant white goods. Having been in the industry 140 years, what the NEFF team doesn’t know – really isn’t worth knowing! We have worked closely with Belling for many years, on their ranges for cooking, laundry, dishwashing and cooling in the home. Be it for the main kitchen or utility room, Belling offer stunning additions to any household. No matter the budget, space, style or colour required – great choice at great prices. Visit our Sheffield showroom today to view some of the great products mentioned above!